Deal activity and funding in India’s education technology startups hit an all-time high in 2018 as investors finally started recognising the potential of the sector in a country where a third of the population is below 20 years of age. The Ed-tech sector, as it is generally called, attracted private equity and venture capital investments worth $742 million last year, a year-on-year rise of 733 per cent, according to a new report by EY India. That’s also more than double of the combined funding raised in the last five years. Even merger and acquisition deal value in the sector rose nearly ten-fold to $200 million. Edtech sector drew the fourth highest funding in India’s startup space in 2018. 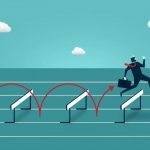 The investor interest has been driven not just by startups offering school education, or the K-12 segment— for kindergarten to 12th grade—but also by those which offer open online courses, reskilling and upskilling programmes. “There is a burgeoning digital skill divide in our country and Ed-tech companies are starting to step in to reduce the gap,” EY said. India is an underpenetrated market in the Ed-tech space and ripe for disruption and investments. 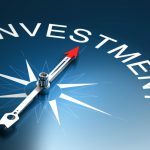 The sector is growing “rapidly” and is set to become a $2-billion market in the next three years. The report said Ed-tech has also had an impact on offline players who are working on adding online content as part of their curriculum and hence becoming omnichannel. 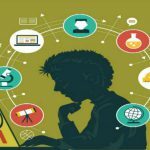 In the coming years, the report said, startups which offer more immersive and engaging educational content will see an uptick. Local language content curation will also become key to broadening their customer bases. While there are significant opportunities, companies will continue to focus on bringing down their cost of acquisitions, improving engagement, therefore, retention and most significantly the quality of content and delivery with growing scale. Geetika Jha is a content writer at StartupEd. She has a great interest in writing poetry which targets social or political issues. She is also passionate about entrepreneurship. 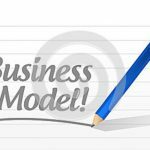 Do These 3 Things Before Making A Business Model. 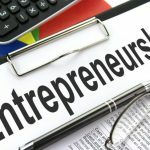 Serial Entrepreneurship- How do you know that you are a Serial Entrepreneur.